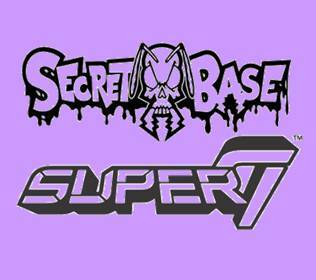 Secret Base X Super7! The ZombieFighter is back in the ring! He may be battered and bruised, his heads may be a bit hazy, but nothing keeps this guy down. Round after round, the ZombieFighter wears down his opponents, waiting for the perfect moment to deliver a knock-out punch. The Purple Haze Zombie Fighter is cast in translucent Purple vinyl with Red, Brown, Dark Blue, Black and Yellow sprays.